csuite podcast: Does the Insurance industry care enough about CX? 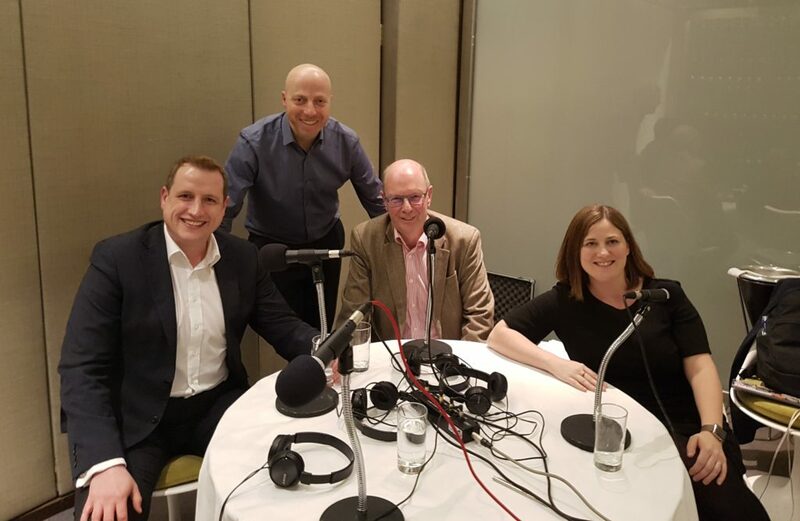 the csuite podcast Podcasts Show 64 - Does the Insurance industry care enough about CX? Does the insurance industry cares enough about Customer Experience (CX)? Martin felt this area is still emerging and that insurance companies could do better but are still testing the waters. Alistair believes there is too much focus on the customer acquisition side and that insurance companies tend to neglect the CX side, which Sharon agreed on. Alistair also added that the key moments are when, as a policyholder, you need to make contact with your insurer, which is quite often at the point of a claim, and that’s when the insurance company needs to make those experiences really memorable for the right reasons. He feels that the leading providers do this really well, which inspires loyalty and so if you can provide a superior claims experience, you are potentially going to create lifelong customers. The concern for Martin, however, is that nothing much has changed over the years. Whilst the front end may be improving, he believes it is still an underfunded area. He said that if a customer calls in, there is always going to be a queue, so the point is not necessarily how long you wait but are you going to get to the right resource at the end of that, and that’s all about triaging and rooting. He added that there are lots of good reasons, technically, why it is so difficult to do but it is not insurmountable. Sharon said that companies need to bring together all the layers hide complexity and start to use smart digital interfaces to make that experience seamless for the end user. Martin says that if you keep it narrow, bots can do the job but are you using them at the right point in a journey. So for example, if customers ask for a common thing such as ‘give me my account balance’, if you understand conversational design, which is the user experience part of that, and you link it to the knowledge management, then a bot can do the job that it’s meant to do. However, for if the enquiry becomes an emotional one or if it gets complex, then it is about relationship nurture and that’s where you need humans there to escalate the issue – as long as you don’t then put someone in a queue as that could be equally irritating. Sharon is a fan of bots in theory, particularly within messenger apps, where she said people now spend more time than on social networks, so if people are using those apps, then it makes sense to try and deliver services to them in the ways that they like to interact. For Sharon though, she thinks there is an expectation within the space that people think you just switch on a bot and it works and that really isn’t the case. You need to think about how to augment, improve and replicate some of those existing human-to-human conversations so that they can happen at scale and perhaps faster. Alistair says there is always a need for human interaction. However, as he said the start, in insurance, the number of contacts are minimal and companies often focus on acquisition and not retention of customers. Points of contact need to provide the best experience. Businesses therefore need to have end to end view, to be able to drive improvement. Alistair explained that Genesys call their approach ‘Blended AI’, where the bot works seamlessly with and assisting a live agent, remains connected to the interaction. The bot is therefore effectively providing the agent with information to help them problem solve faster and more efficiently, which in turn provides a continual personalized experience. However, he added that the bot needs to learn as well. Therefore, once that interaction has been passed to an agent, the bot can learn that maybe next time that interaction comes in, the bot can then take over and it becomes more transactional. The technology looks at audio, which helps to understand the context of what’s being discussed, and the transcripts and then searches for phrases across 100% of every conversation. Whilst it is driven by phrase recognition, and so having predefined phrases to look for is key, you can’t predefine every single phrase within a business. It therefore uncovers emerging trends too as there may be some things that happen in your business that you might not know about, but that you absolutely need to know about! This could also include mentions of competitors. For example, there may be an insurer that has launched a new campaign and prospective clients are referencing that company regularly. The technology would start to uncover these emerging trends visually through a word map, where the size of the bubble indicates the frequency of a word being spoken, plus the proximity of bubbles together with words in them show which words are being spoken together. Finally, the colour of the bubble indicates an upward or downward trend. Once those phrases have been provided, you then go down to a deeper level of detail and start to scrutinize exactly what’s happening in those conversations. Genesys analyses these conversation from an omni-channel perspective, including all media types, whether that’s email, web chat, asynchronous messaging, social posts – it can all be brought through a single platform. This all helps to improve acquisition, retention, up-sell and cross-sell opportunities, reducing repeat calls and the amount of call transfers. It also helps to eliminate compliance risk because they are analysing 100% of interactions, making it very easy to pick up on the key phrases that need to be mentioned. the increasing demand for digital personalised fast and smart customer experiences, as we have less physical things to insure, and more stored in the cloud, for example. the need to respond to change in working family patterns and more complex needs. Martin added that this will all be happening faster and faster, so there is a need to be innovative. However, the industry is still product focused and so not spirited around what the customer needs. He picked out Lemonade as an example of a InsureTech start up to look at, which made him think that the way that normal insurance experience is configured is very long winded. Sharon said customers want services to be joint up and gave the example of Revolut’s geolocated travel insurance offering. For example, as your phone is with you, it will know where you’ve just landed and will ping you and ask you if you if you need to buy insurance. For Alistair, the biggest concern for insurance companies is finding ways to access new and existing customers before they go onto price comparison websites, which comes back to how they proactively engage their customer base. This, he added, comes back to intelligent use of the data by performing predictive analytics and modelling to look at the policyholders who are at risk of churning. Accenture released the ‘Insurance as a Living Business’ in February 2018 which was a study of seven major insurance markets, including the UK, within which they said that ‘Insurance carriers globally could seize US$375 billion in new revenue in the next five years by transforming and revitalising their businesses’ and that ‘insurers that continuously innovate and adapt to changing customer needs will be able to capture emerging growth opportunities and outperform competitors’. One of the areas the report said that insurers could generate additional revenue from was value-added services that help reduce customers’ risk, such as connected devices in homes to detect maintenance issues before they cause damage. However, would customers be happy to share personal data, and will there be concerns about the security of it being shared? Sharon believes that ultimately there are two questions people want to know about companies holding their data – will it be held securely and is it something that is worth sharing your data for? Martin added by saying it is about building trust but there will always be a line in the sand for some individuals in terms of what they will and will not share, for example, how much medical data are you willing to share? Alistair agreed that data has a key part to play. If the customer can be convinced of the benefits of allowing that data to be used, for example, in providing relevant and cheaper products, then he think they will be good with it.